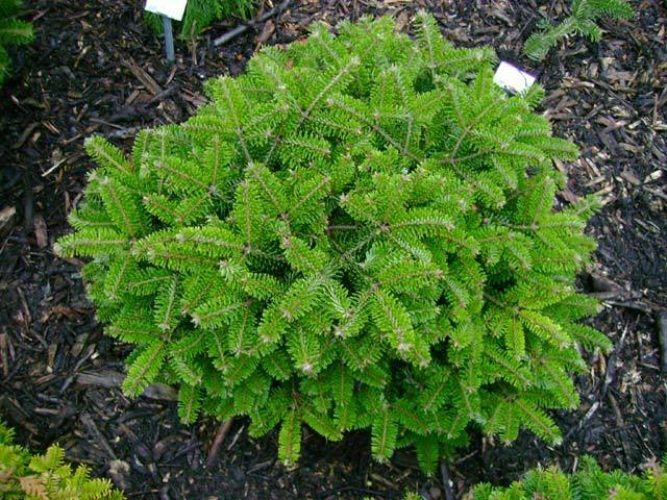 Abies nordmannniana 'Berlin' is a flattened globose dwarf selection of Nordmann fir with dense, layered branching holding stiff, medium-green needles with the silvery undersides that are typical of the species. After 10 years of growth, a mature specimen will measure 24 inches (60 cm) wide and 12 inches (30 cm) tall, an average growth rate of around 2 inches (5 cm). Like all cultivars of this species, 'Berlin' is well adapted growing in full sun and well drained soil. It is very tolerant of xeric conditions. This cultivar originated as a witch's broom found in 1989 in the Dahlem district of Berlin, Germany by Günther Eshcrich of Recklinghausen, Germany. This is one of his favorite introductions because it has never been known to produce a leader and become conical as so many Nordmann brooms are known to have done. There are many misspellings in the nursery trade particular to this plant. Most common are 'Dahlem,' 'Berlin-Dahlem,' and 'Dahlheim,' all of which are permutations on the plant's place of origin. Abies nordmanniana 'Berlin' in the Smits pinetum, Volkel, The Netherlands. 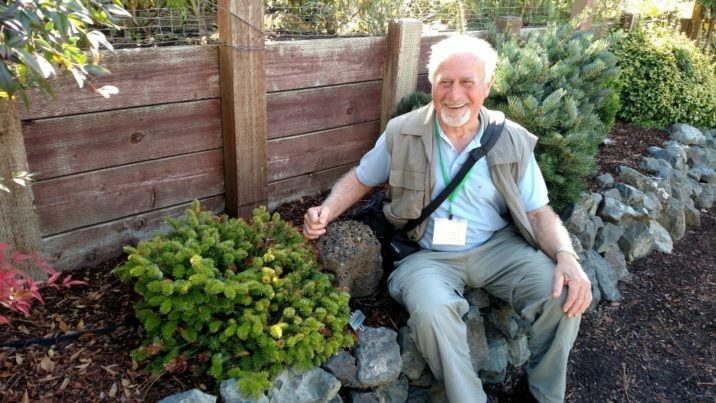 Originator Günther Eschrich posing with an Abies nordmanniana 'Berlin' during a British/Dutch Conifer Society Tour in Oregon in 2015.